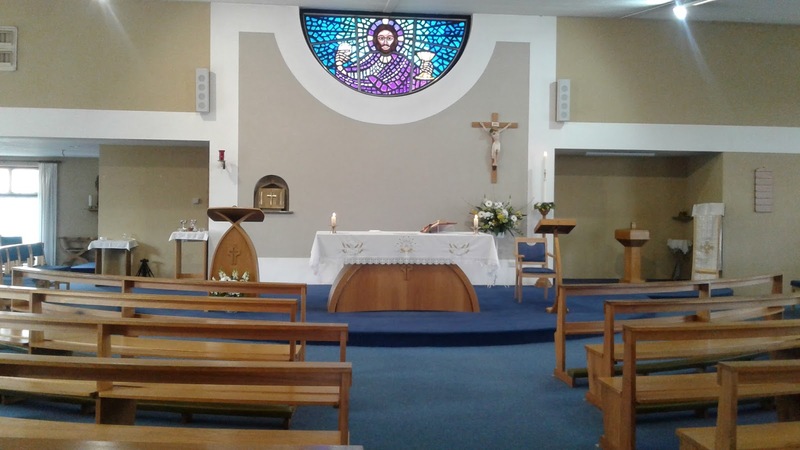 I was at Our Lady and St Dominic's Church, Cove, Farnborough yesterday and today. If I'm not mistaken this is the first time that I've preached a sermon on a Sunday in a Church - all three Masses. 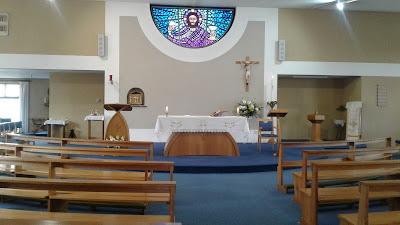 Being Vocation Sunday (Good Shepherd Sunday) I was asked to speak about vocation, or my vocation, at this parish in Farnborough. I was happy to. The only other time I've preached during Mass is occasionally on Sunday's while at Nashik, in our Salesian community Chapel, for the staff of the house. They were mostly telugu and tamil speaking groups and we would take turns giving a sermon. I did prepare my text and even typed and printed it out, just before leaving for the parish. However, I never once looked at it. Mostly because I knew what I wanted to say and the exact words. Since it was not more than 12 minutes that I wanted to speak, I did not wander about or blabber. The parishoners were happy to hear me. Some of them did come and congratulate and thank me for sharing my story and some thanked me for the spontaneous way I did it. A couple of boys were keen that I come and talk at their school too!! Anyway, I constantly reminded myself that it is a sermon that I've asked to preach, not an animation talk. So I made sure I didn't say anything that would be there merely to impress or draw their attention. Since I knew I wouldn't speak for long, and was confident that what I had to share was worth it, I didn't need honey and fireworks. Most important of all, I asked the Lord to let His message be conveyed - not my story. Besides the people of the parish, I liked the very structure of the Church - simple, functional and neat. I think that made it very beautiful. The best part was that the altar and sanctuary is surrounded by the congregation. Only straight behind the priest there is no seating area.